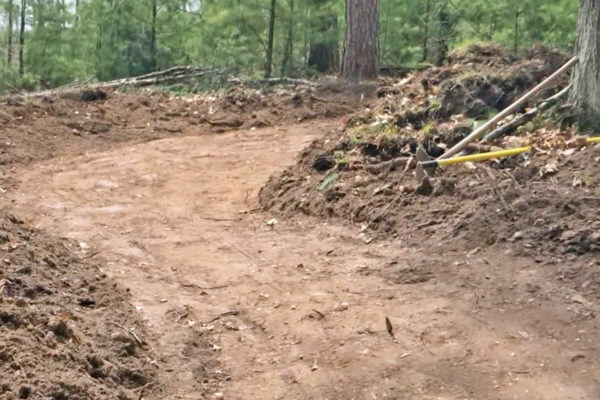 On Saturday, May 12, 2018, it was due to the people that came out and put in a hard day that made it possible for the 1/3 mile connector trail to get finished in one day. Starting at 8 a.m., volunteers raked, stamped, operated machinery, brought refreshments, and worked until the new segment was finished. 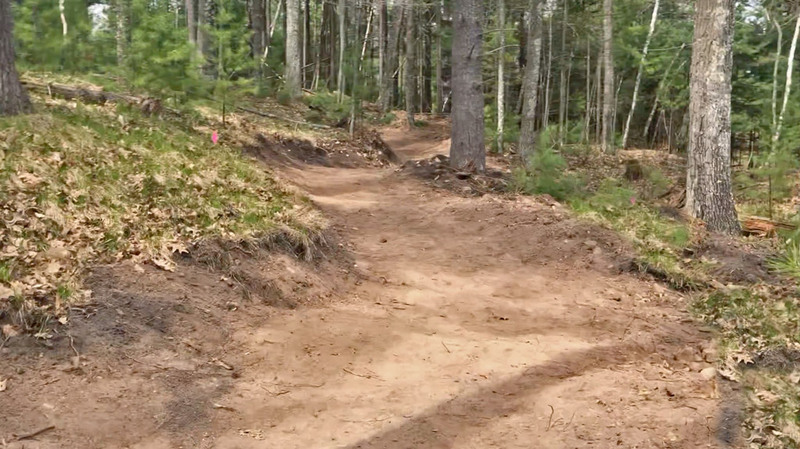 The "Connector Trail" leaves the parking lot, climbs up through the woods and connects riders to the main trail system. Previously, bikers had to ride up and down a sandy (not fun) road. 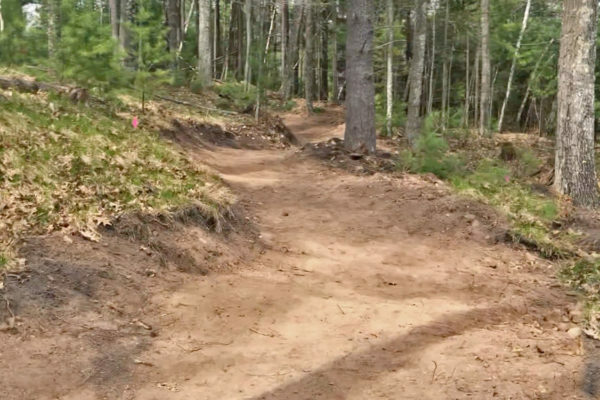 The road is primarily used by the Northwoods Zip Line to haul trailers of people up to the zip lines. 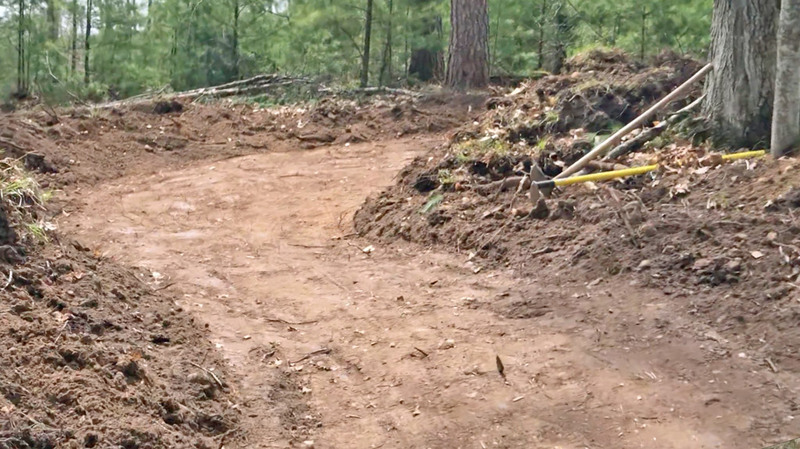 Moving the trail into the woods not only makes it more fun for riders, but addresses safety issues.